Easy to put together. Takes 2-3 hours to see full affect of the glitter flowing with heat of light. Captivating to watch. I order ship to store pick up option. Nothing was broken or damaged. I did do a insurance for an extra $2 but I think it only covers the light. 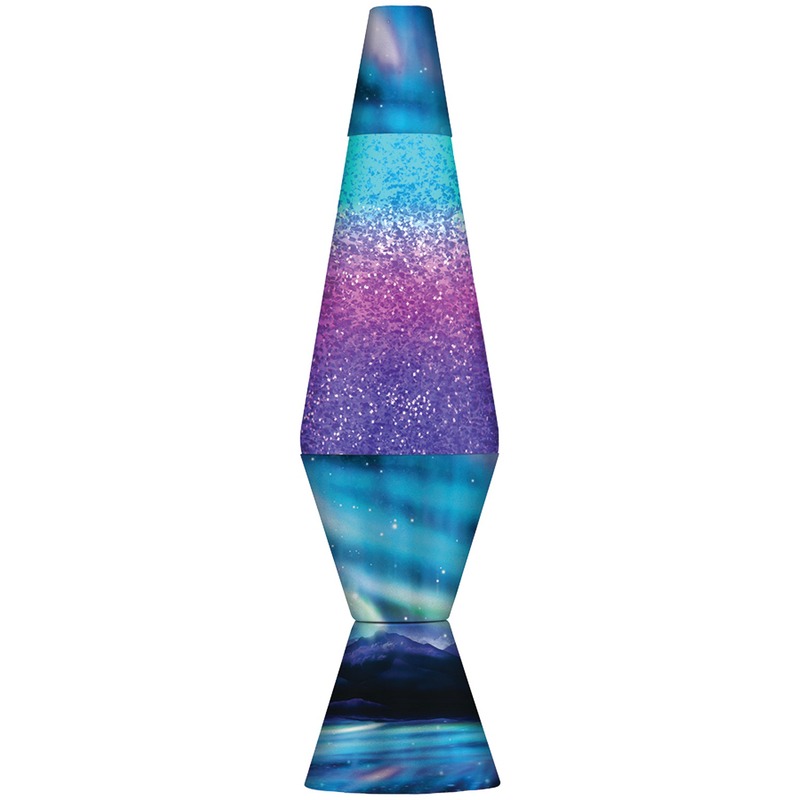 Home territory searches the web to find the best prices and availability on Lamps and related products foir your home like Lava the Original 14.5-Inch Colormax Lamp with Northern Lights Decal Base. For this page, related items include products we find that match the following keywords: "Lamp" at our vendor partner Walmart - Click More Info / Buy Now to check for price rollbacks!. Lava the Original 14.5-Inch Colormax Lamp with Northern Lights Decal Base is one of 34 Lamps and related products available for sale through HomeTerritory.com, If you have any questions on this product, please give us a call at 734-971-1210 during the hours of 9am - 5pm EST for assistance. Thank you for shopping at Home Territory, the home furnishings superstore!